Is it hot enough outside for you? 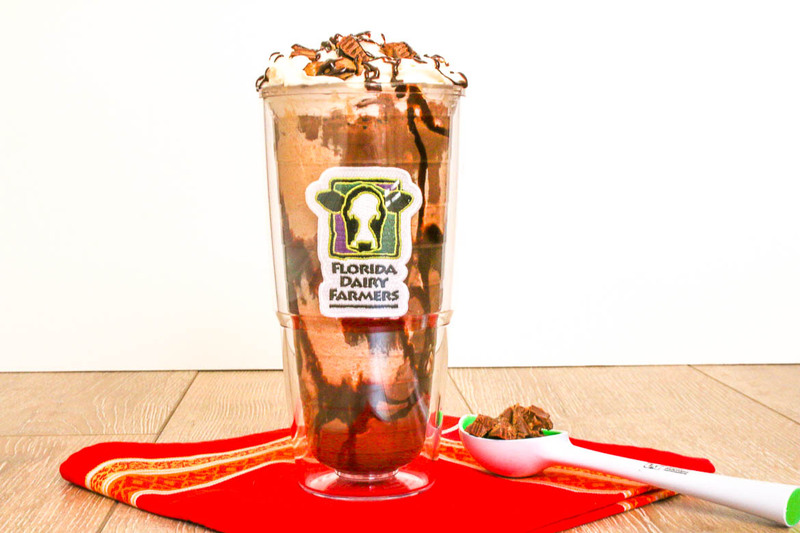 Down here in sunny South Florida, our temperatures are creeping into the 90’s which means it’s time to cool down with a Chocolate Peanut Butter Marshmallow Fluff Milkshake. The timing couldn’t be more perfect because Florida Dairy Farmers is having a contest with Food Wine Conference called Make it with Milk. They must have known how badly I was looking for an excuse to create a milkshake recipe and how much I love Florida milk. Baby Boy and I went round and round with ideas for this shake and debated whether or not to go the fruity way or the rich, decadent one. Clearly, the latter won. 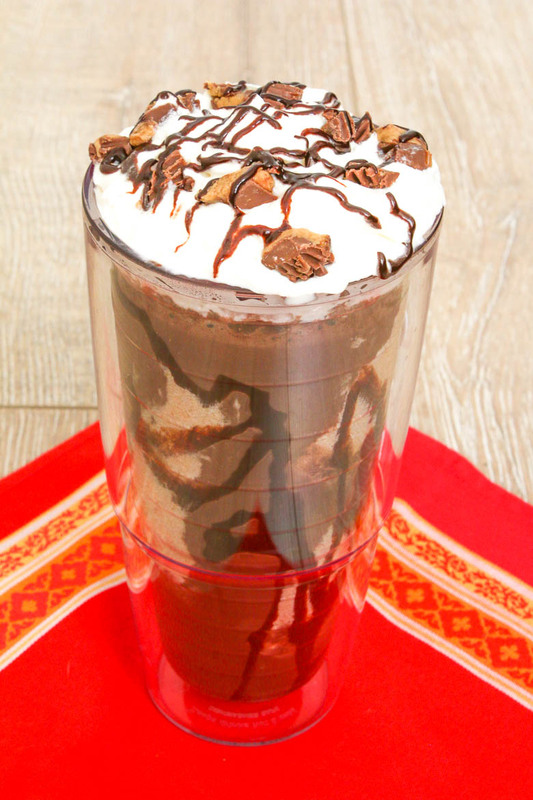 The first thing to do when making Chocolate Peanut Butter Marshmallow Fluff Milkshake is stir together peanut butter, marshmallow fluff and whole milk until the mixture is smooth. 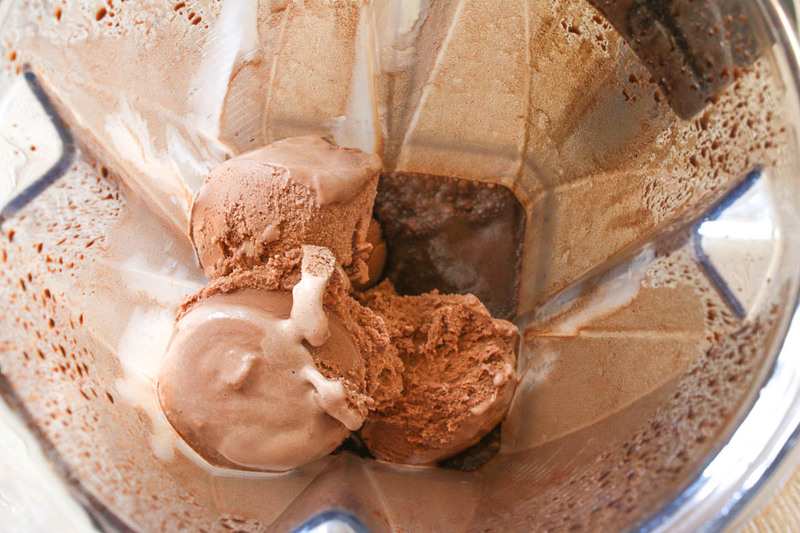 Then freeze it for 30 minutes before making the chocolate part of the milkshake. 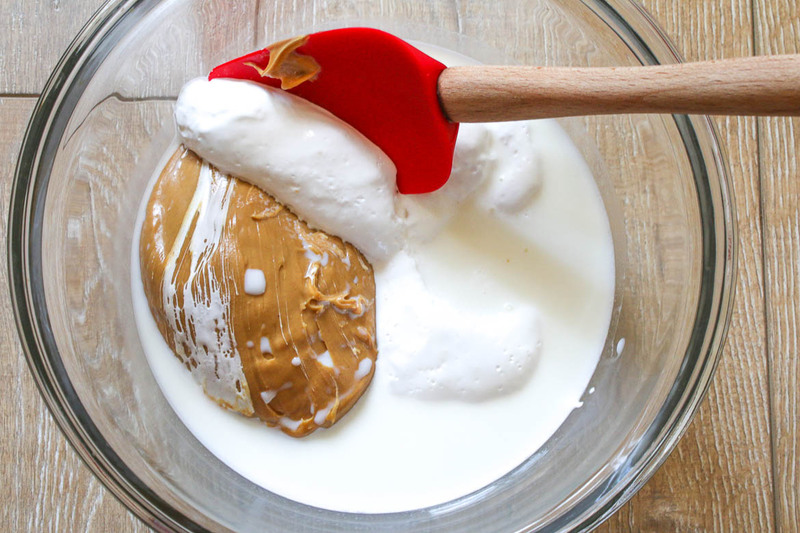 Stir the marshmallow fluff, peanut butter and milk until smooth and then freeze. As I am a fan of a deep chocolate flavored milkshakes, I added some cocoa to mine. Rather than dilute the milkshake with water, I blended the cocoa and sugar with milk which dissolved the cocoa completely. No need for water when Florida milk is available! Assembling Chocolate Peanut Butter Marshmallow Fluff Milkshake is a breeze. First drizzle chocolate syrup in a glass then add some of the chocolate milkshake followed by the peanut butter marshmallow fluff mixture. I recommend spooning the fluff onto the side of the glass so that it is clearly visible when serving. Top with whipped cream (store bought or home made), chopped peanut butter cups and drizzle with a bit more chocolate syrup. I sure would love to win this contest but even if I don’t, we can all be winners by making a Chocolate Peanut Butter Marshmallow Fluff Milkshake. Are you a food or travel blogger or food photographer/videographer? Then you really need to attend the Food Wine Conference in Orlando, May 19-21. I am super duper excited because this year in addition to being a sponsor with Happylicious by Betsy, I will also be speaking about Starting a Startup. This conference is da bomb. Be sure to use discount code BetsyC2017 to save $50 off the registration price. Click here for more information. Place the marshmallow fluff, peanut butter and ½ cup (130 grams) milk into a medium size bowl. Stir until smooth. Freeze for 30 minutes. 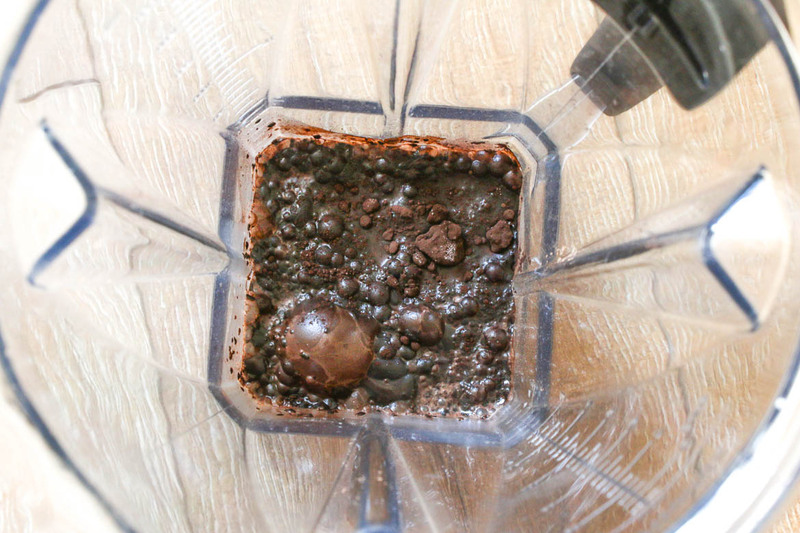 Place cocoa powder, sugar and remaning milk into a blender. Mix on high speed until the cocoa is dissolved. Add the ice cream and blend until smooth. 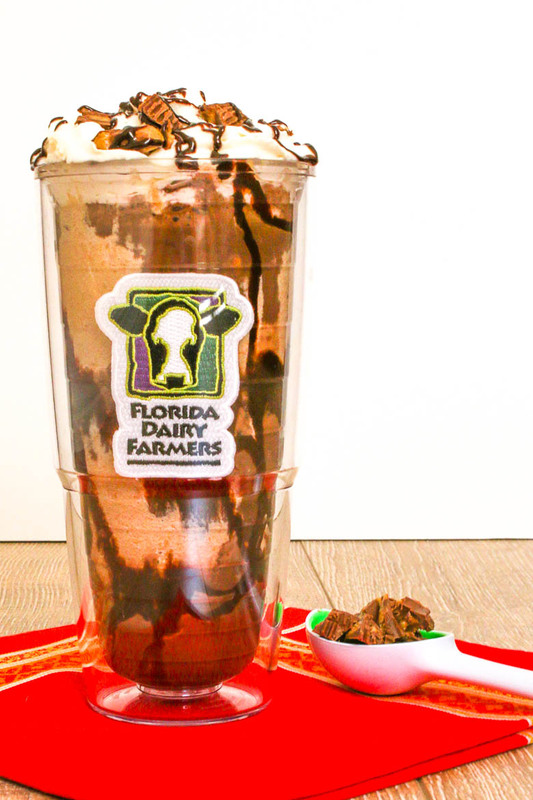 Drizzle chocolate syrup into a glass. Alternate the chocolate milkshake with the fluff mixture. When adding the fluff, use a spoon to attach it to the side of the glass for a pretty presentation. Top with whipped cream, peanut butter cups and chocolate drizzle. Additional time is needed for the fluff/pb mixture to freeze.